Getting away from our day-to-day routine and obligations is a big factor in taking a holiday. It’s uber exciting to think about actually being able to sit and read a book… or exploring without needing to worry about returning calls and emails. But is a total ‘detox’ realistic? Tech has irrevocably changed our lives and there are certainly ups and downs to that statement. When it comes to staying connected on the road, as you might expect from us, it’s all about balance. The Full Monty just isn’t always an option. Whether our job demands check-ins or it’s a family thing, connection is important. And, as a glass half full way of looking at it, this connectivity can be a helping hand in allowing healthy travel breaks more frequently during the year than a one-off complete tech detox. Unplugging to us means disconnecting from the 24/7 habit of our tech, but not pretending they don’t exist. On the road we are sure to hop on in the morning for a bit and in the evening. 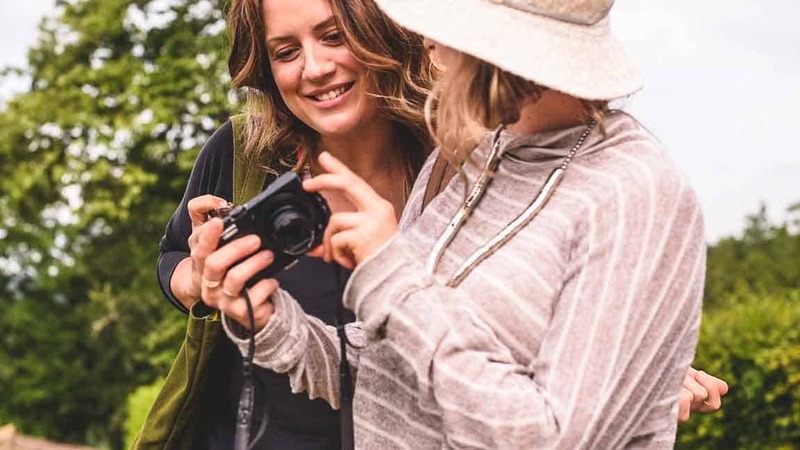 However, the day is ours for exploration, fun and connection with our fellow travelers (the real kind, not the Instagram version…ha). You’re going to find your own balance with technology on the road. We’re on our soap box to let you know that being realistic about what allows you to travel (work) and what allows you to relax when you travel (balance) are the keys to ‘unplugging’ success. There’s no better adventure buzz kill than multiple messages or voice mails from someone trying to get a hold of you. While we’re all in the habit of setting away messages, using those messages to set expectations is a handy tool. Email and voice mail can let our contacts know that we’re checking in once a day and will get back with them shortly. Or you can open your time up more and simply state that you’ll check in a few times during the week and will reply to non-urgent messages when you get back. A road map to keep them calm and carrying on is a solid way to allow you to decide what you do and don’t want to respond to when away. Setting expectations rules. Most of us use our phones to take photos on trips and plenty of people choose to post to social media. Instead of emailing or calling for check-ins, you can let friends and family know to watch your feed. 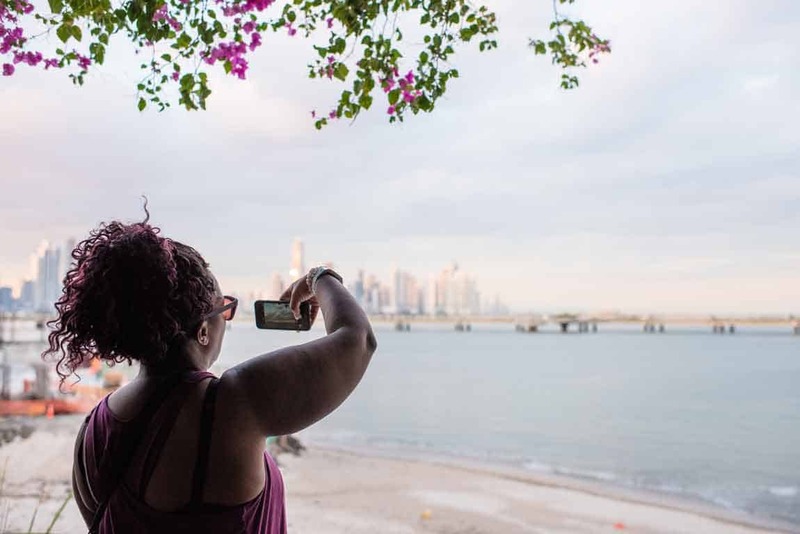 They get to live your adventure vicariously (and virtually), you get to share your mad photo skills and you’re creating a fabulous visual diary of your adventure. It’s a beautiful win/win/win. Well, we are The Travel Yogi, after all (ha). Even if/when we get a chance to practice at home, once we’re off the mat we jump back into our busy lives. Practicing with one teacher, and one group, on our adventures is a completely different ballgame. On the road you’re not worried about what to cook for dinner, what to do tomorrow or how something is going to happen. We’ve got that dialed in. 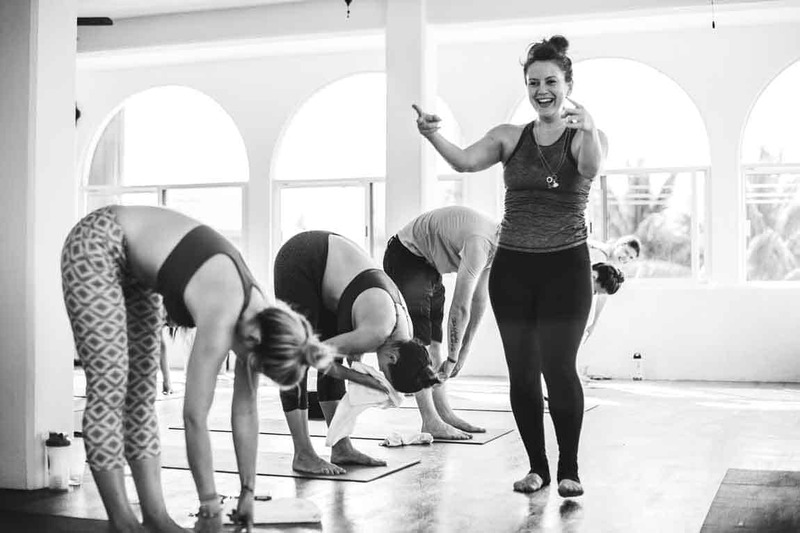 What you do get to do is sink into your practice, really (really) let it go in savasana and connect. Yoga is more fun when a friend goes, right? Imagine a room full of friends every.single.class. You’ll hear us say that we use yoga as a tool to open up to the cultural and natural amazingness on our adventures. If you’ve been out with us, you know. If you haven’t yet, you’re in for a treat. We promise.